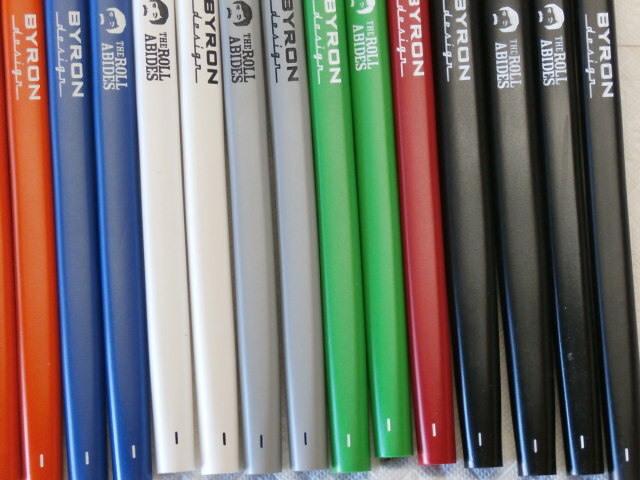 New Pure Grips for sale! Seven colors with two different graphics. 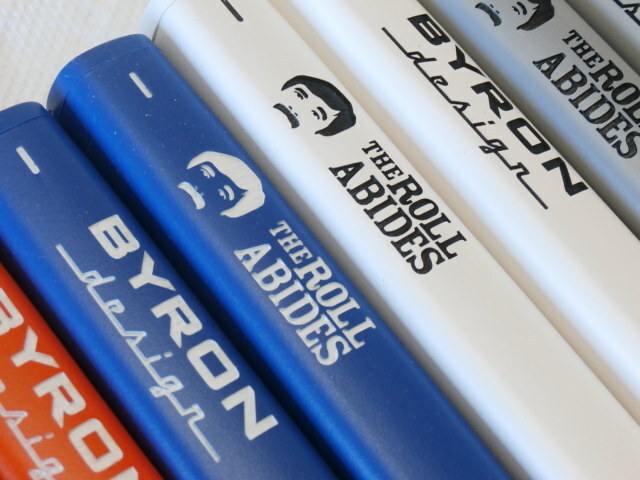 Choose from orange, Blue, white, Grey, green, red, and black with either The Roll Abides or Byron Design graphic. 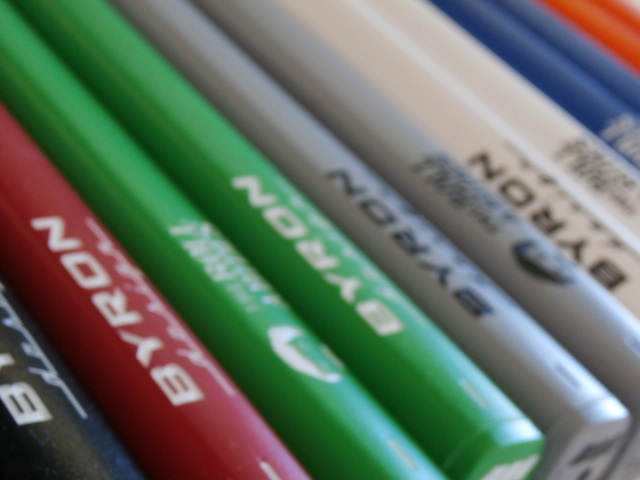 Available in standard or midsize. $12 each and shipping is $9 if ordering one to six grips.